Except for Pole Position II, all games Atari produced for the 7800 have a gray background. At the top of the label is the 7800 logo (generally in maroon). Under that is a color graphic unique to each game. Copyright text appears in black placed under the image. 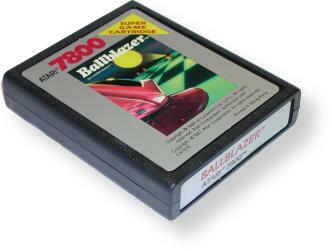 The end label is also gray, with the title text in maroon or black, followed by "ATARI 7800" in black text underneath the title in a smaller font. Some games also have the model number in black text on the end label. Records Found: 40 Click on a column header to sort by that column. Click again to reverse sort order.